Bosch offering extended range: Global auto supplier Bosch just released e-axle, a new electric axle combining three powertrain components into one unit – that will bring longer range to electric vehicles and hybrids and more torque and speed to these vehicles – and to compact cars, SUVs, and pickups. It’s capable of delivering between 50 and 300 kilowatts. Torque at the axle can cover a range of about 1,000 to 6,000 Newton meters (737 to 4,425 foot-pounds). EVs will be able to travel further on each charge, and they won’t have to draw more power from the battery with the new e-axle system in place. It’s being tested now with a few Bosch customers, and the supplier company says it will go into mass production starting in 2019. The German supplier says it has already provided components to over 500,000 hybrids and EVs out on roads. Lift spreading across country: Ride-hailing company Lyft is making a big move in its U.S. presence, expanding from eight states up to 40. The Uber competitor has been able to see growth in riders and revenue and recent years, and can now tap into chaos that the global ride-hailing giant entered into earlier this year. Lyft has been able to bring over a lot of customers and drivers from Lyft. An upgraded smartphone app has helped, along with a new marketing campaign that’s helping Lyft grow from serving 160 more cities for a total of about 350. Lyft is an ideal situation, with its General Motors partnership and recent deals with other companies on autonomous vehicle test projects. 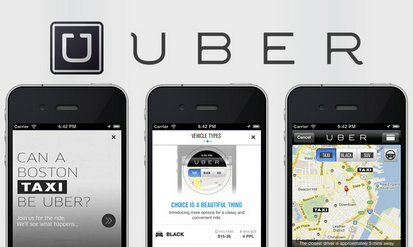 Uber’s excessive market valuation and ability to raise about $14 billion in private equity since its inception is causing a huge shakeup as investors want to see transparent, professional management of the company. Uber this week hired Expedia CEO Dara Khosrowshahi to take the place of ousted and controversial founder Travis Kalanick. The new CEO is also known for being outspoken, and is expected to bring the company forward to an initial public offering within 18 to 36 months. Lyft co-founders Logan Green and John Zimmer work on keeping the company simple and direct. They say they haven’t done beyond asking employees and drivers to make sure passengers are treated like guests at a fine hotel. Cummins electric heavy-duty truck: Cummins Inc. is adding electric drive trains to its power options, the company announced yesterday at its Columbus tech center. The 18,000-pound truck will have a 44,000-lb. maximum payload and about 100 miles of range. That beats Tesla’s announcement, which takes place next month and is expected to focus on a 200-300 mile range electric semi truck. 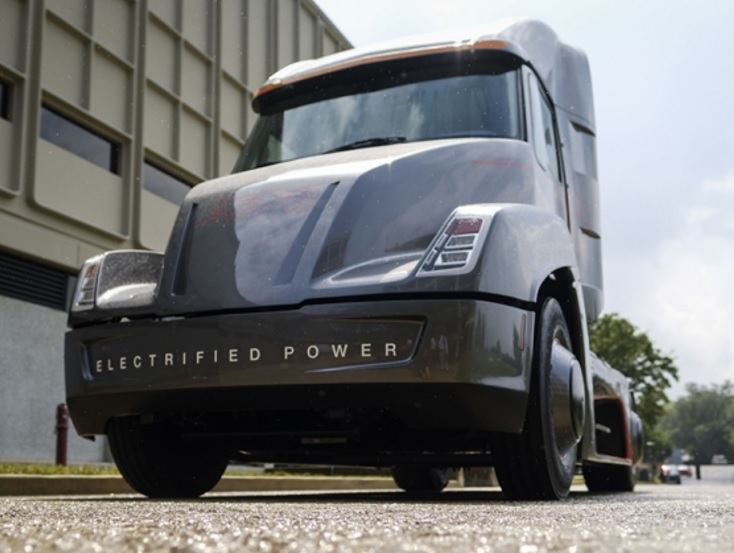 Named AEOS after a four-winged horse-driven chariot from Greek mythology, the Cummins electric truck (built by Roush) follows an announcement in June that the company will bring out an electric bus by 2019. Cummins is looking for vehicle manufacturers to work with and large fleets interested in buying them. For now, the electric heavy-duty truck is in the concept phase. The company is well known by fleets for its natural gas truck engines. Solar-powered dealerships: SunPower solar dealers are working with auto dealerships across the country to put solar panels on empty rooftops and over parking lots to cut energy costs and to meet sustainability targets. Construction of the solar installations has also helped protect roofs and a fleet of new cars underneath the stations. Minnesota-based Luther Auto Group, the largest privately held auto group in the Midwest, has placed 454 kilowatts of solar at 10 of its dealer locations. They’re projected to save the company more than $2.1 million in electricity costs over 25 years. 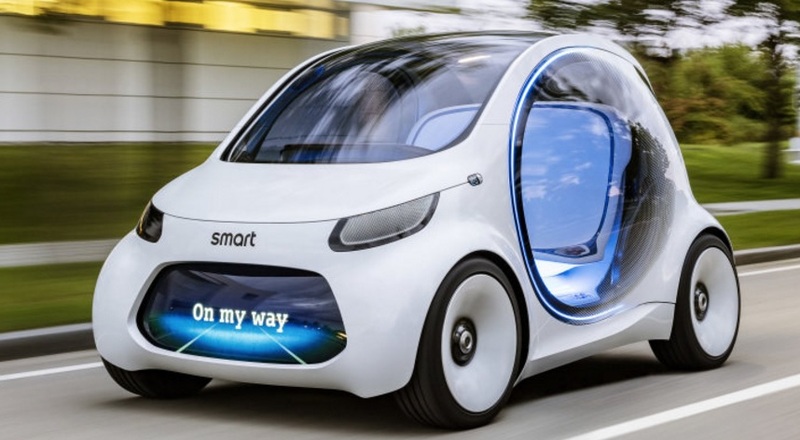 Smart Vision EQ ForTwo: Daimler’s Smart division will be showcasing the Vision EQ ForTwo, tapping into the company’s CASE philosophy – Connected, Autonomous, Shared, and Electric. When it does come out years from now, customers will be able to hail a ride in the tiny electric car from their smartphone. Vision EQ vehicles will be able to flow through traffic more smoothing by “talking” to other autonomous vehicles out on the roads. It will be used for carsharing rides, and could be ideal for Daimler’s Car2Go subsidiary. 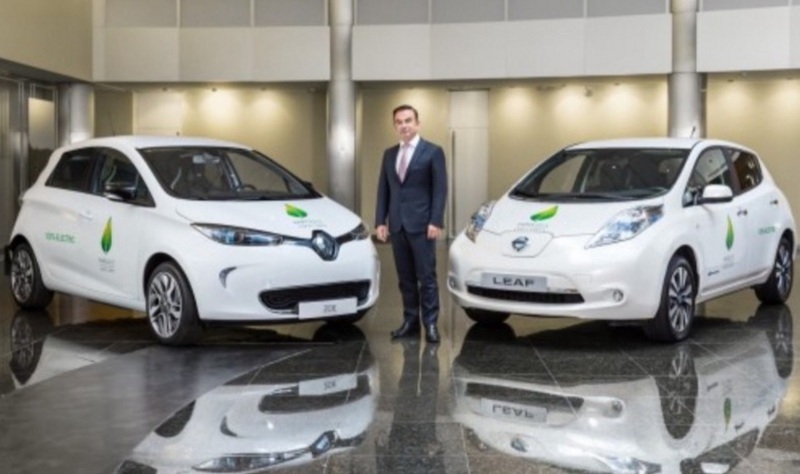 Renault, Nissan and Dongfeng forge JV: The Renault-Nissan Alliance is preparing to enter the world’s largest electric vehicle market through a joint venture with a Chinese partner. The alliance has forged a JV partnership with Dongfeng Motor Group Co. to bring an electric SUV to market by 2019 through eGT New Energy Automotive Co., Ltd., the new company. The three companies have been in alliance for years with a shared factory already in place. It will tie into CEO Carlos Ghohn strategy to maximize economies of scale and become more EV competitive, along with Donfeng’s mission to bring “light, electric, intelligent, interconnected and shared” vehicles to the new energy vehicle market. China is in the process of becoming stricter on subsidies and watching out for another cheating scandal. The government is expected to soon announce a zero emission vehicle mandate similar to California’s. Whatever the government requires, automakers are not backing off China’s booming EV market. BYD profit declining: Chinese EV manufacturer BYD reports that its profit margin has slimmed this year since the national government has been cutting back on generous new energy vehicle incentives to consumers and automakers. Increasing market competition is also taking its toll. The company expects its net profits will drop up to 25% during the first nine months of this year, compared to shooting up nearly 79% last year. Vehicle sales fell 14.8 percent to 183,637 units sold during the first half of the year. BYD has been the world’s largest manufacturer of plug-in electrified vehicles over the past two years. As passenger cars decline, the company is benefitting from bringing out more electric buses and trucks – such as what’s being built now at its Lancaster, Calif., plant. “We have seen a sales recovery trend for BYD during the past few months, especially in Q2. In addition, BYD is pushing green public transportation in China and globally,” said Bill Russo, managing director at consultancy Gao Feng Advisory Co.
Ford and Domino’s self-driven pizza deliveries: Ford Motor Co. and Domino’s Pizza are testing out delivering pizzas in a Ford self-driving car. 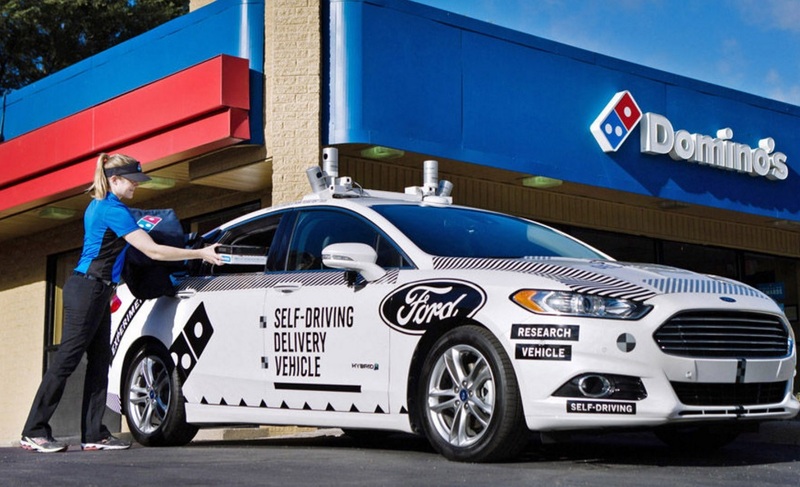 They’re asking customers what it’s like to receive a pizza through a self-driving vehicle. Over the next few weeks, customers in Ann Arbor, Mich., will have the opportunity to receive their order from a Ford Fusion Hybrid Autonomous Research Vehicle. It will be manually-driven by a Ford safety engineer and staffed with researchers. Ford plans to begin producing self-driving vehicles in 2021 and will tap into the data from this test project. ChargePoint in Europe: ChargePoint is looking to launch an initial public offering in the next five years as the company expands further into Europe, CEO Pasquale Romano told Reuters. 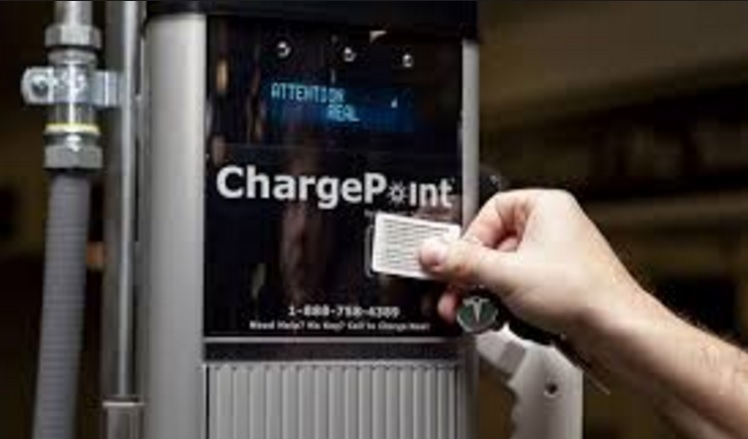 ChargePoint, operator of one of the world’s largest charging station networks for electric cars, joins other players in the game including utilities, engineering groups, automakers, and startups seeking to establish strong footing. BMW, Daimler, and Siemens already have a strong presence in Europe as demand continues to increase – and they see ChargePoint as an option to expand their networks. The charging company has so far raised about $300 million in funds, with Daimler and Siemens joining up this year. BMW first supplied funds in 2012. 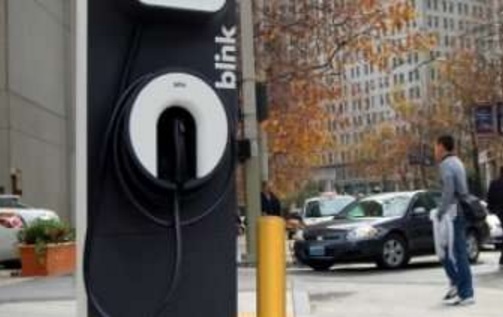 The company also operates about 40,000 charging spots in the U.S. and Mexico. California AB 1184 moves forward: The California legislature is pushing forward a $3 billion program that could raise electric vehicle rebates up from the current $2,500 per vehicle all the way to $10,000 or more. It’s been approved by Senate and Assembly committees, and still needs to see legislative approval and the signature of Gov. Jerry Brown by the end of the current session in Sacramento on Sept. 15. The bill’s sponsor, Assemblyman Phil Ting (D-San Francisco), said Assembly Bill 1184 ties into the state’s initiative to reduce greenhouse gas emissions by 2030 to a level reached in 1990. “If we want to hit our goals, we’re going to have to do something about transportation,” he said. Uber gets new CEO: Uber has named former Expedia chief executive Dara Khosrowshahi as its new CEO, according to two people familiar with the matter. It’s expected to help stabilize the ride-hailing company’s contentious battle in recent months that resulted in former CEO Travis Kalanick leaving in June. Kalanick had been overseeing the company as it eventually reached $70 billion in estimated market valuation until a series of controversies took over this year – driving investors to shake up Uber management. Khosrowshahi has been an outspoken critic of the Trump administration’s immigration policy, which was another heated issue for Uber earlier this year. His family had immigrated to the U.S. during the Iranian revolution. Expedia, along with Amazon, became one of two technology companies to contribute declarations to a lawsuit filed by Washington State’s attorney general objecting to the travel ban executive order. That had focused on seven predominantly Muslim countries. Other finalists for the Uber CEO position include Jeffrey Immelt, the former chief of General Electric, and Meg Whitman, the chief of Hewlett Packard Enterprise, the sources said. Ford’s 18th annual sustainability report: Ford Motor Co. announced a series of gains made in sustainability initiatives in its annual report. The automaker joined the Business Alliance for Water and Climate “Improve Water Security” initiative supporting its drive to someday have zero usage of drinkable water in manufacturing. Since 2000, Ford has cut water use by more than 61 percent. It’s partnership with Jose Cuervo continued using agave plants for sustainable bioplastics being placed in Ford vehicles. Now about 300 vehicle parts come from renewable sources such as soybeans, cotton, wood, flax, jute, and natural rubber. Its aluminum closed-loop recycling system recycles about 20 million pounds of military-grade aluminum alloy per month, enough to build more than 37,000 F-Series truck bodies a month. Ford continues to reduce the footprint of its supply chain with an enhanced Partnership for a Cleaner Environment program that has grown to more than 40 suppliers in 40 countries – up from 25 suppliers in 2015. The automakers zero-waste-to-landfill program has been expanded to a total of 82 Ford facilities around the world, where no waste is sent to landfills. 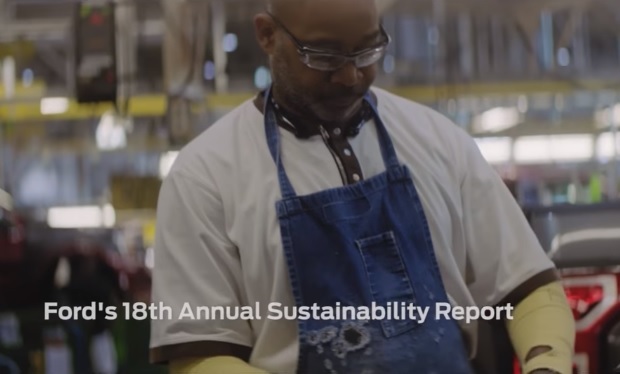 You can read the company’s 18th annual sustainability report to learn more, plus read and watch a video on improving safety and fuel economy, reducing manufacturing carbon dioxide, the company global electrification strategy, and sustainable mobility services. 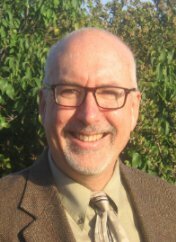 Webcast on PEV sales: On Sept. 12, UCLA, J R DeShazo, director of UCLA’s Luskin Center, will lead a webcast from Sacramento on the future of the plug-in electric vehicle market. Details on a new study will focus on the early development of the market and the factors likely to shape future growth ties into California’s public policy goals for clean vehicle sales. The study examined consumer response to PEV market offerings and tested hypotheses about potential determinants of PEV sales over time and across locations in California. Tesla Semi range: Tesla will be launching a semi-truck next month capable of going 200 to 300 miles per charge, according to Scott Perry, a Ryder System executive interviewed by Reuters. Perry said he met with Tesla earlier this year to discuss what the Tesla Semi truck will be like that CEO Elon Musk announced last year and said would be revealed in September. 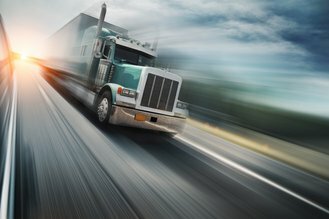 It will be ideal for short-haul trucking and won’t have anything like the capacity of 1000-miles per fueling big rigs typically seen on U.S. highways. The Tesla Semi could work for companies needing freight hauling from ports to warehouses and other day trips. Tesla will face a series of challenges including ramping up later this year for the Tesla Model 3. Toyota going with solid-state batteries: Toyota will be going with solid-state batteries to speed up charging and lengthening trips, according to a report published Tuesday in the Chunichi Shimbun daily. Recharging will happen in just a few minutes, versus competitor’ EVs taking at least 20- to-30 minutes using fast chargers for a range of just 185 to 250 miles. The first Toyota electric vehicle built on the new platform will come as early as 2022. Toyota is ready to compete with market leaders including Nissan and Tesla as EVs become more widely adopted in the next few years. 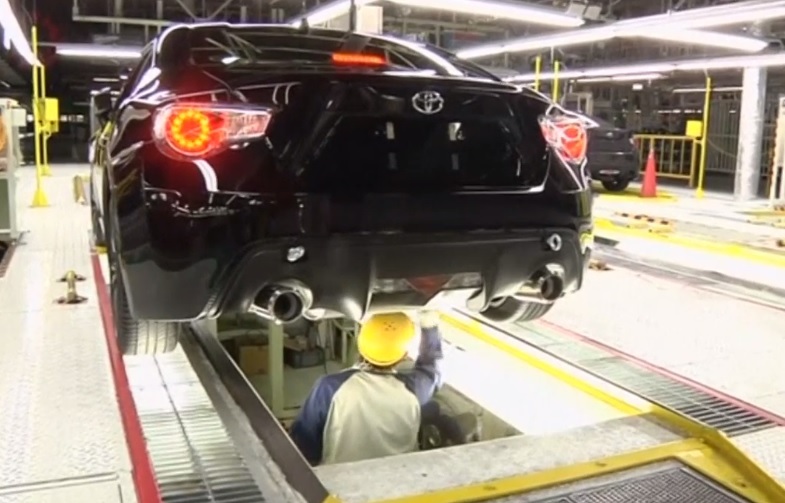 An in-house unit led by President Akio Toyoda is working on developing and marketing a new lineup of EVs, as the company changes course from its previous path focusing only on hybrids and hydrogen fuel cell vehicles as alternative powertrains. The automaker has also been reported to plan entry into mass production of EVs in China as early as 2019. Tesla-competitive batteries: Tesla is seeing new competitors enter the electric vehicle battery space, and they happen to be ex-employees. Romeo Power, a small startup company in Los Angeles staffed by former Tesla and SpaceX engineers, has begun making battery packs they say is lighter, more energy dense, and longer lasting than what’s being placed in Tesla’s EVs. The first units have gone to energy storage, but after a $35 million round of raising seed money, the company is adding other projects including electric cars, forklifts, golf cars, and robots. That came from $65 million worth of placed orders that will be delivered in 2018. Potential customers include U.S. and European automakers, according to founder Michael Patterson. 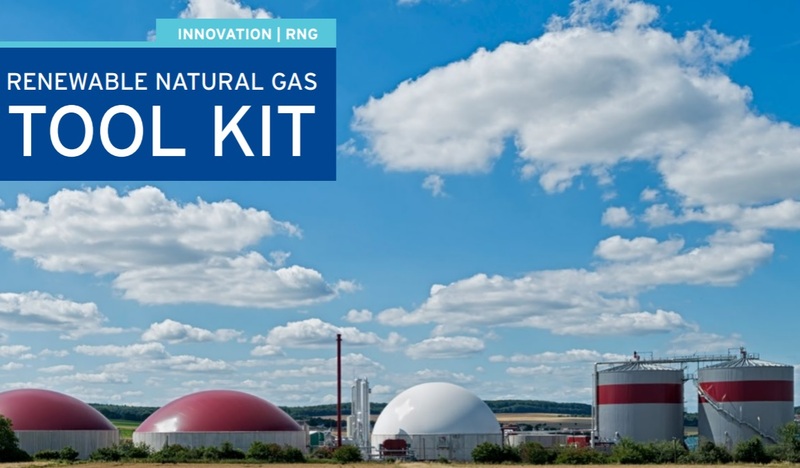 SoCalGas tools for RNG: Southern California Gas Co. has just released tools for renewable natural gas production facilities to connect with SoCalGas’ natural gas pipeline system in the region. A downloadable toolkit has been set up to renewable natural gas (RNG) producers and developers interested in joining up their projects with the SoCalGas pipeline network. In addition, changes have been adopted that will accelerate the interconnection process. SoCalGas reports that about 80% of all methane emissions in California come from the state’s dairy and farm operations, landfills, and wastewater treatment plants. That methane can be harnessed and cleaned to produce RNG for use in transportation as well as in homes and businesses. Nissan Leaf enhanced vision: Nissan continue to promote new tech features on the upcoming 2018 Nissan Leaf. 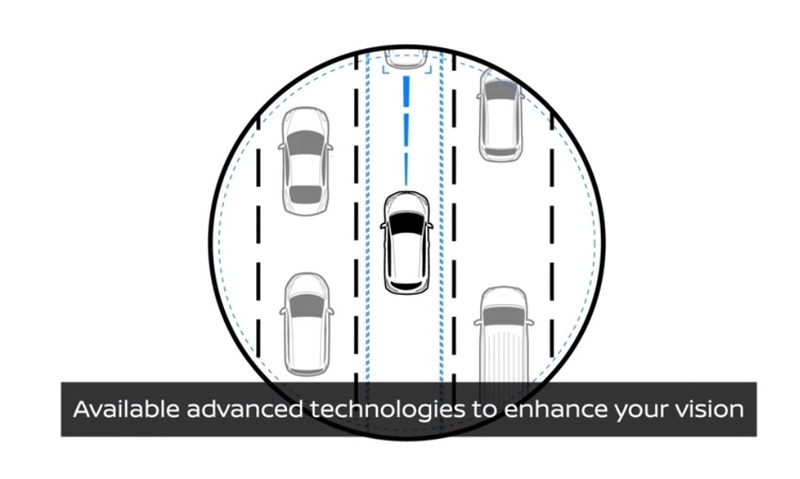 Along with longer range and zero emissions, a new video says that it will have enhanced vision that will give the driver a better sense of what’s going on around the electric car. That could tie well into the Pro Pilot Assist features announced earlier. There’s also the e-Pedal, allowing the driver to do everything from one pedal. The Leaf will be coming out first in the U.S. on Sept. 5 with the world launch taking place in Japan the next day. Audi EVs with solar panels: Audi will be working with a partner to rollout electric vehicles with solar panels on their roofs for extended range. Through an alliance with Alta Devices, a subsidiary of Chinese solar company Hanergy, thin-solar cells will be added to roofs that can power the car’s air-conditioning system and seat heaters. A prototype is scheduled to be completed by the end of the year. Later versions will cover the entire rood and eventually provide power for the battery pack driving the electric car. Audi will be competing with Toyota and Panasonic bringing solar panels to the Toyota Prius Prime plug-in hybrid. Audi is hard at work developing battery electric vehicles using its e-tron drive train. 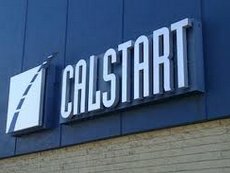 CALSTART symposium speakers: CALSTART’s 25th Anniversary Symposium is coming up on Oct. 24-25 at the Pasadena Convention Center, with an impressive list of speakers being announced. Speakers include: Mary Nichols, Chair, California Air Resources Board; Diarmuid O’Connell, Vice President, Business Development, Tesla; Caroline Choi, Senior Vice President of Regulatory Affairs, Southern California Edison; and Scott Phillippi, Senior Director of Maintenance & Engineering, International Operations, UPS. The hotel block is filling up, so it would be a good idea to register soon. 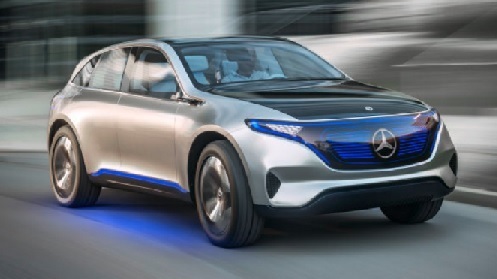 Mercedes EQ launches: Mercedes-Benz will be showing 100 vehicles at the Frankfurt International Motor Show next month, many of them being concepts including three in the EQ electric sub-brand. One will be an electric compact car could be the new previously announced EQC sedan that’s slated to start production in 2019. The Mercedes-Benz GLC F-Cell EQ Power will be a fuel cell plug-in hybrid that makes its debut at the car show as a pre-series model. It comes from the EQ Power sub-brand added to its EQ lineup earlier this year. The Mercedes-AMG Project One, a high-performance hypercar, will be getting 1000-plus horsepower and will use Formula 1 hybrid drive technology. There will only be 300 units available. While non-electric, the company will also be showing its first premium pickup truck, the X-Class. Intelligent transportation systems: A new study by Navigant Research studies to future of intelligent transportation systems (ITS) that are thought to be part of paving the way for the future of autonomous mobility. It taps into the Internet of Things (IoT) concept where data can be transmitted across all pieces of the transportation ecosystem, making room for transportation planners and managers to play their part. Cities in Europe and the Asia-Pacific region are leading the way in using real-time traffic management and multimodal systems integration. The research firm expects the market to grow from about $6.6 billion in global revenue this year to about $17.5 billion in 2026. 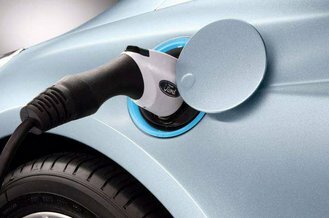 Ford’s Chinese joint venture: Ford Motor Co. has signed a memorandum of understanding with Anhui Zotye Automobile Co., Ltd., a Chinese manufacturer of all-electric vehicles. The two automakers will delve into the development, manufacturing, marketing, and servicing of an all-electric vehicle line for the China market. The move will tap into China’s “new energy vehicle” market for plug-in hybrid and all-electric vehicles. The Detroit automakers said that China will have at least six million NEVs sold per year starting in 2025, and that four million of them will be battery-electric vehicles. Zotye Auto sold more than 16,000 electric vehicles in China through July of this year, a 56 percent increase year-over-year. 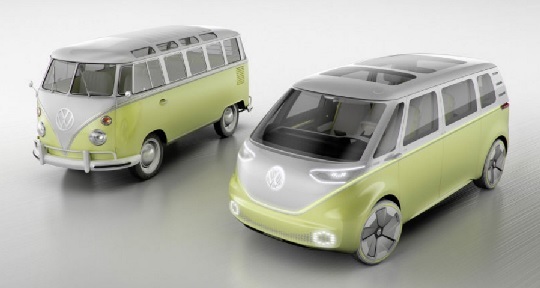 VW Buzz ready for surfer dudes and van lifers: Volkswagen is preparing the I.D. Buzz electric microbus to show up at dealerships in 2022. Tapping into the spirit of surfers and road travelers who loved their old VW microbuses, it’s taking the design shape of one of these classic models. Announced Saturday at the Pebble Beach Concours d’Elegance in California, VW CEO Herbert Diess said the demand has been strong since the initial unveiling of the concept earlier this year at the Detroit Auto Show – coming through a lot of letters and emails. “The Microbus has long been part of the California lifestyle. Now we’re bringing it back by reinventing it as an electric vehicle,” he said. Maybach electric cabriolet: There’s another launch scheduled for the Pebble Beach event this week – an all-electric Maybach cabriolet that the company says will have a lot of range. The Vision Mercedes-Maybach 6 Cabriolet is being pitched as the “ultimate in luxury of the future,” a two-seater offering electrified transportation with a tribute to hand-finished cabriolets. The company said that its drive system has an output of 750 hp (550 kW). The shallow underfloor battery will provide a per-charge range of over 200 miles, but its not clear what that real range will be. Mercedes-Benz said it will get 500 kilometers (310 miles) according to the NEDC standard in Europe, which is much higher than the EPA standard in the U.S.
Oil refiners want biofuels rules to change: Reuters has done a detailed study, tapping into previous company executives who’ve chosen to remain anonymous, that Valero Energy Corp. is leading a lobbying drive to change the way the Environmental Protection Agency views and enforces the biofuels blend mandate. Valero and other oil refiners have taken a costly hit in recent years from the federal Renewable Fuel Standards (RFS) the 10% ethanol blend in gasoline. Valero had to spend about $750 million last year buying RFS credits, according to the company’s securities filings. 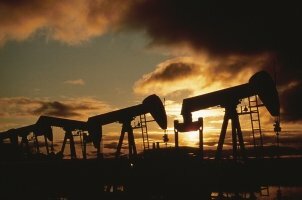 The company wants the rule to be revised so that the “point of obligation” moves over to retailers and shippers instead of oil refiners. Their coalition has brought in billionaire Carl Icahn, owners of the CVR Energy refiner and who’s served as a special advisor to Trump since his election. Icahn resigned Friday as a Trump advisor after taking a lot of pressure under claims he had a conflict of interests while playing this role. 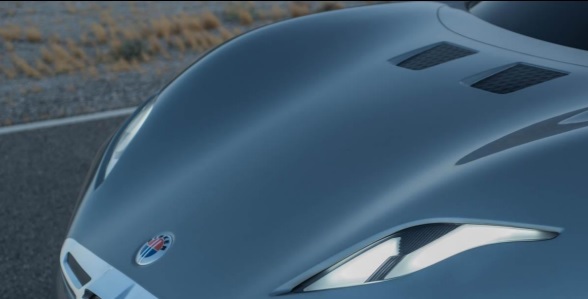 Fisker EMotion debut: Henrik Fisker will be launching the Fisker Emotion all-electric sedan at CES 2018 in January. It will have a starting price of $129,000 and will compete directly with the Tesla Model S and Faraday Future FF 91. Technology features include an energy dense battery pack that can be charged in just nine minutes, LiDAR for Level 4 autonomous driving, and a range that Fisker claims will go beyond 400 miles. Possible carsharing alliance: Daimler and BMW may be in talks to combine their car sharing services, according to the chief executive of European car rental company Sixt. BMW works with Six on tis DriveNow car sharing service and Daimler has been running the Car2Go brand for several years. They’re exploring the market potential for pay-per-use mobility services competing with Uber and Lyft. More on I.D. Buzz: Volkswagen brand CEO Herbert Diess may be announcing production details on the all-electric VW I.D. Buzz microbus tomorrow beach at Concours d’Elegance in Pebble Beach, Calif. That event has always been an elegant setting for announcing luxury and performance vehicle offerings, with Mercedes-Benz likely to use it for showing a Maybach luxury roadster this year. The Buzz is one of three I.D. EVs that the German automaker will be launching in the near future.